Since Haryana State has notified the Real Estate Regulatory Authority (RERA) Rules, it has been in the news that State Government has diluted the RERA Act. 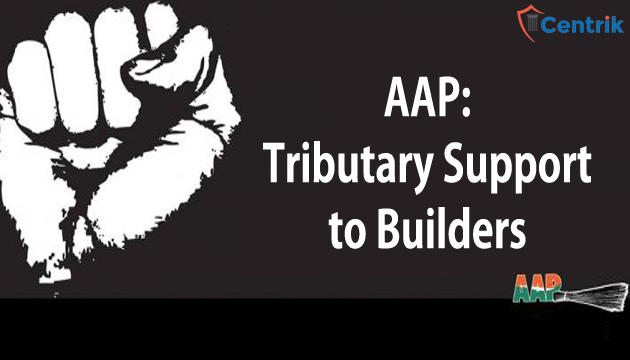 On Saturday, Aam Aadmi Party (AAP) hit on the State Government and deemed that Haryana RERA (HRERA) is in one breath with developers which is why the diluted RERA has spared them. Though RERA was expected to develop the faith of the homebuyers in the real estate sector and to increase the investment in the industry, diluted RERA in Haryana boomeranged the same. AAP’s Haryana Chief said that chaos created after the change in the definition of ongoing projects a lot of people are victimized right now. By leaving hundreds of projects outside the purview of the act, beats the whole purpose of having an act in the first place. RERA has come out to be gloomy for the public as only builder’s interest was kept in mind, without a hitch people who voted for the State Government in the assembly were forgotten. The outstanding external development charges were also questioned by the Party accumulating to Rs 12,000 Crore from more than 700 projects that developers had to pay to Huda. Instead, a false affidavit was submitted in Punjab and Haryana High Court by Huda showed the valuation of Rs 3,000 crore as external development charges.